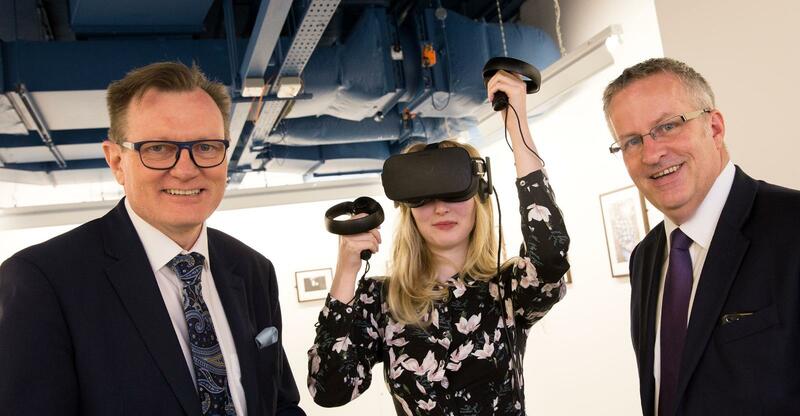 Cross sector creative partnership, Future Screens NI – a collaboration between Queen’s, Ulster University and local industry partners – announces a £13m investment to secure the future of the creative industries in Northern Ireland. Responding to industry needs, Future Screens NI will deliver expert technical skills, opportunity and growth across film and broadcast, animation, games and immersive technologies and industries. Through the partnership, Northern Ireland’s creative companies will develop strategies to collaborate, grow productivity and maximise their global potential, delivering new jobs and a £400m increase in GVA to boost the local economy. Welcoming the announcement Professor Ian Greer, President and Vice-Chancellor of Queen’s, said: “At Queen’s University Belfast we are delighted to collaborate with our colleagues at Ulster University and our key creative industries partners, who are crucial to the creative economy in the region, on this timely project supported by the AHRC. Future Screens NI will place Northern Ireland’s creative industries in front of international markets and work with government and other agencies to create sustained growth. The collaboration is one of nine research and development partnerships in the AHRC Creative Industries Cluster Programme, part of the Government’s Industrial Strategy, bringing together dynamic creative industries with world-leading university research talent. For media enquiries, please contact Queen’s University Communications Office, +44 (0)28 9097 5845. (L-R): Professor Ian Greer and Professor Paddy Nixon with UU student Sarah Sweeney at the launch of the creative industries partnership.